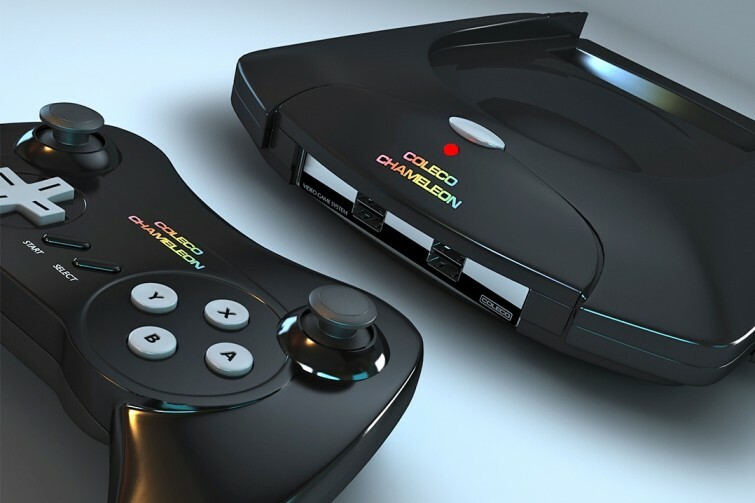 Fans of cartridge-based gaming will no doubt be excited to hear that Coleco has announced the Coleco Chameleon, a new cartridge-based console from the creators of the ColecoVision, which was released in 1982. The last major console to use cartridges only was the Nintendo 64, which was released in 1996. The Coleco Chameleon will live up to its name, as it will play 20th-century 8-bit, 16-bit, and 32-bit titles. “It’s ironic that a new ‘retro’ video-game system would actually revolutionize and revitalize the Coleco brand,” said Coleco partner Chris Cardillo, in a press release. The project’s a collaboration between Coleco and a company called Retro Video Game Systems. Coleco went bankrupt in the late 1980s but reformed in 2005. Since then, the company has released sporatic stand-alone consoles with retro games pre-installed such as the Coleco Sonic Handheld Console (which plays 20 games from the Sega Master System and Sega GameGear) and the ColecoVision Flashback Console, which plays 60 ColecoVision games using two built in controllers. The console will release sometime in 2016. Few details have been released so far.